In this version of the Designer Challenge, Sabrina was given 3 sofa options to select from and designed a room around one of them. Welcome to Part Two of the Designer Challenge- sofa edition! 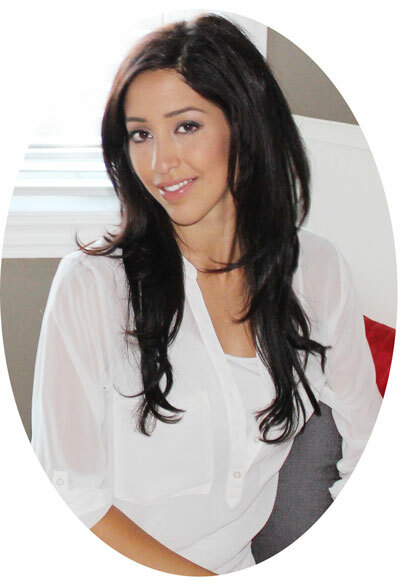 Today, I’m thrilled to welcome Sabrina from Pink Little Notebook. Hey all, Sabrina from Pink Little Notebook here! When it came down to choosing from these three options, I was stumped. 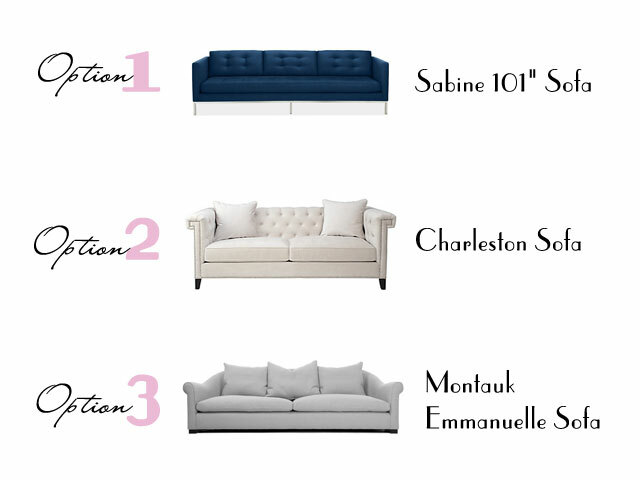 Deep down, I’m a vintage-type gal and naturally I’m drawn to tufted sofas but that Montauk Emmanuella sofa (option 3)—O.M.G. I’m in love with the gorgeous curves and the lushness of the cushions. It’s the type of sofa you just want to make yourself comfortable in. So yes, Montauk Emmanuella, you won me over. I immediately began envisioning a well designed, elegant room. Something fun yet comfortable. Something old but modern. Something soft but bold. I’m definitely all over the place when it comes to styles. That’s why I love mixing a little of bit of everything. 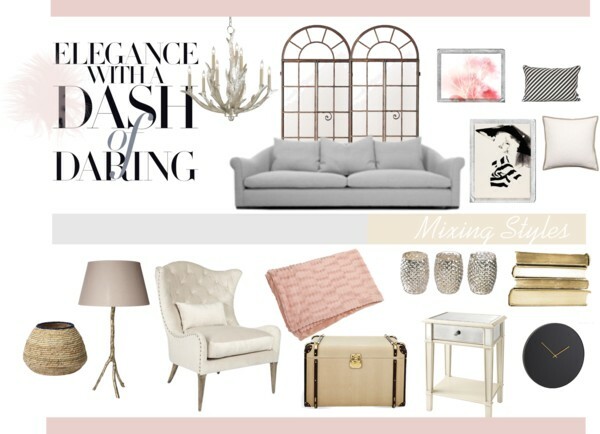 Here is what I came up with: Elegance with a Dash of Darling! Let’s start with the sofa. Of course, you want to make it the focal point of the room so I would enhance this piece by either placing the sofa in front of a large window in your home or use wall decor similar to the items above. Accent cushions in sophisticated colours and patterns will add to the elegant look of the room. Have a little more fun with the art work, use black and white photos or pull in a hint of colour like blush pink. When it comes to accessories, vintage seating with a tufted back will fit seamlessly with the good looking curves of the Montauk Emmanuella sofa. Instead of using a traditional coffee table, I would opt for a large chest with gold accents. I’m loving the organic look right now so a light shade with a tree branch stem and woven baskets are a must. The chandelier just meshes everything together. This silver antler lighting is the perfect twist between rustic and modern. What do you think? Is mixing styles your thing? Mixing styles is definitely for me, Sabrina! The soft grey paired with the pink is absolutely gorgeous. And the touch of vintage- ahhhhhhh! Is this the sofa you’d pick to design a room around or would you select the Charleston like Alicia did? Which one speaks to you? Want to check out other versions of the Designer Challenge, including rooms designed around mirrors, benches, outdoor chairs and more? Go here. This was so much fun! Thanks for letting me be a part of designer challenge! Thank you for putting together such a beautiful space. You are super talented! That is a seriously gorgeous room. Love it! Great collection. I’ve always been in love with that chandalier! I love how the chandelier is a mix of rustic and glam- so pretty! I would have picked the same sofa too! What a great series, thanks Shauna! !